Paris: Alexander Zverev, the man seen as a potential French Open champion, crashed out in the first round Tuesday as world number one Andy Murray and former winner Stan Wawrinka moved through. Zverev, just 20 and fresh from his sensational Rome Masters demolition of Novak Djokovic, slumped to a 6-4, 3-6, 6-4, 6-2 defeat to Spain's Fernando Verdasco, 13 years his senior. "I played absolute sh*t, that's why I lost," said Zverev bluntly. "But life goes on, it's not a tragedy. In Rome I played fantastic, I won the tournament. Here I played bad, I lost first round. That's the way it goes." In a match controversially suspended on Monday at one set each, Zverev was defeated in a fog of mistakes and despondency. The beanpole German committed 50 unforced errors and drew jeers from the Philippe Chatrier court crowd when he took out his frustration by hammering his racquet into the clay. Left-handed Verdasco, playing his 14th Roland Garros and 56th consecutive major, had lost to Zverev in the first round on clay in Madrid earlier this year. 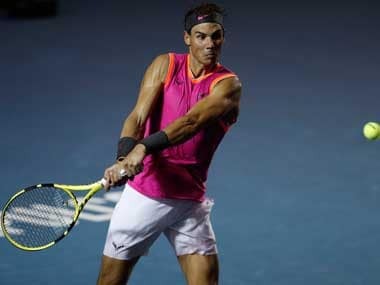 But he is an experienced Grand Slam competitor, making the last 16 in Paris on five occasions. "I practised really hard before this match against a great player like Alexander," said Verdasco who next plays France's Pierre-Hugues Herbert. "Maybe it was my experience. You have to be ready emotionally and physically because it can be a long match." Murray, the 2016 runner-up to Djokovic, shrugged off a second set wobble to defeat Russia's Andrey Kuznetsov 6-4, 4-6, 6-2, 6-0. "He goes for his shots, he plays very aggressively and quite close to the baseline. 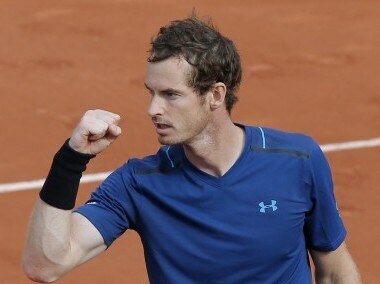 He hits the ball pretty flat," said Murray, who showed few effects of the fever he carried into the event. Top seed Murray will play Martin Klizan of Slovakia who was accused a faking an injury in his five-set win over French wildcard Laurent Lokoli. Lokoli was so angry at Klizan's actions on court that he refused to shake hands. Third seed and 2015 champion Wawrinka was an easy winner, defeating Slovakian qualifier Jozef Kovalik 6-2, 7-6 (8/6), 6-3. Wawrinka saved two set points in the second set tiebreaker before going on to down the 152nd-ranked qualifier. Juan Martin del Potro marked his return to the French Open after an absence of five years by defeating Argentine compatriot Guido Pella 6-2, 6-1, 6-4. "I love to be playing this tournament again after five years," said 2009 US Open champion Del Potro, who reached the quarter-finals in his last appearance in Paris before blowing a two-set lead against Roger Federer. Japanese eighth seed Kei Nishikori was also a first round winner, beating unranked Thanasi Kokkinakis of Australia 4-6, 6-1, 6-4, 6-4. In the women's event, Romanian third seed and 2014 runner-up Simona Halep cruised to a 6-2, 6-3 win over Slovakia's Jana Cepelova. Halep, who had described her chances of playing in Paris as "50-50" due to an ankle ligament injury, will face Germany's Tatjana Maria for a place in the last 32. Taiwan's Hsieh Su-Wei, the world number 109, stunned seventh seed Johanna Konta 1-6, 7-6 (7/2), 6-4. Konta is the second top 10 woman to lose in the first three days after world number one Angelique Kerber was dumped out in the first round. "I tried very hard and gave myself a big chance. Every time I tried to run as fast as I can and get the ball back," said Hsieh, who won for the just the second time in seven trips to Roland Garros. Konta has yet to win one match in the main draw in three attempts. There were no such problems for fifth-seeded Rome champion Elina Svitolina as the 2015 quarter-finalist defeated Yaroslava Shvedova of Kazakhstan 6-4, 6-3. Canada's Eugenie Bouchard, a semi-finalist in 2014, shook off a right ankle injury to recover from 0-5 down in the first set to beat Rise Ozaki of Japan 2-6, 6-3, 6-2. Madison Keys ended a four-match losing streak by winning on clay for the first time this year, beating Ashleigh Barty 6-3, 6-2 at the French Open. The 12th-seeded American held a 22-10 edge in winners, did not face any break points, and took advantage of Barty's seven double-faults. 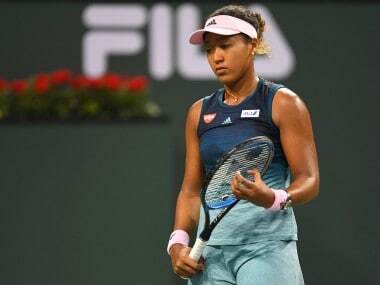 Keys, a 2015 Australian Open semi-finalist, missed the first two months of this season after left wrist surgery. Barty has now lost all nine career matches against top-20 opponents. No 9 seed Agnieszka Radwanska of Poland made a winning return to action on Tuesday to reach the second round. The Pole was sidelined for five weeks due to a right foot injury, which saw her crash out of Stuttgart and miss Madrid and Rome earlier in the clay season. Radwanska, like Halep, showed little signs of the injury still troubling her and eased past Fiona Ferro in straight sets, 6-1, 6-1 in just over an hour. Argentina's Renzo Olivo was just a game away from knocking French number one and 12th seed Jo-Wilfried Tsonga out of Roland Garros on Tuesday before the match was halted for bad light. World number 91 Olivo was leading the two-time semi-finalist 7-5, 6-4, 6-7 (6/8), 5-4 when play was halted on Philippe Chatrier court at 2155 local time (1955 GMT). 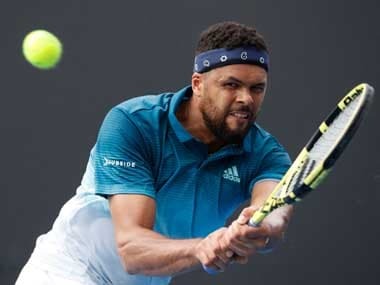 Cheered by a passionate home crowd, Tsonga valiantly fought his way back into the match after losing the opening two sets, but the Frenchman was broken in the fourth for a second time to leave Olivo serving for the match. Tsonga, who has never lost to a player ranked as low as No 91 Olivo at a Grand Slam, broke back on the last of his three break points in the gathering gloom. The winner will face Britian's Kyle Edmund for a place in the last 32.